Grab your best pocket Soldier and your favorite rocket launcher, it's tournament time! 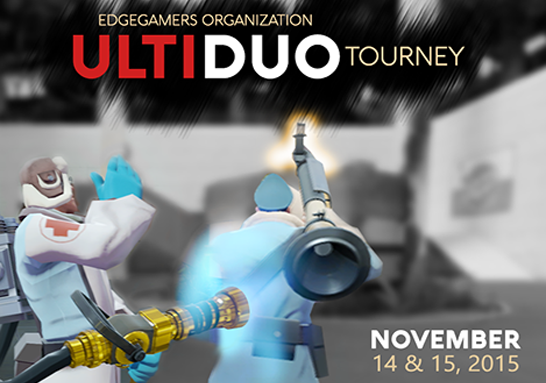 32 Soldier/Medic teams will go head-to-head at EdgeGamer's Ultiduo tournament this Nov 14th and 15th, to find out who's the most devastating duo on the battlefield! Prizes will be awarded to the top three teams. Sign-ups are on a first-come first-serve basis up to 32 teams (Ultiduo is restricting teams to North America for server-related reasons). Click here for more info!